Simply Click The Register Now Button! Teams may be made up of 1 to 10 players. All teams must submit the names of each team members and designate a team captain before the game. No substitutions during a game. Each team may use up to two substitutes from game to game, but not after a game has started. Six (6) rounds made up of three questions per round. Featuring categories from music, movies, television, sports and other relevant genres. Halftime Questions (No Wagers) require a team to list 4 answers worth 2 points each. NO CHEATING!!! This means NO cell phones and no reference materials!! Don’t shout out the answers! Answers that have been turned in are final - no corrections!! Rulings made by the Trivia Host are final! 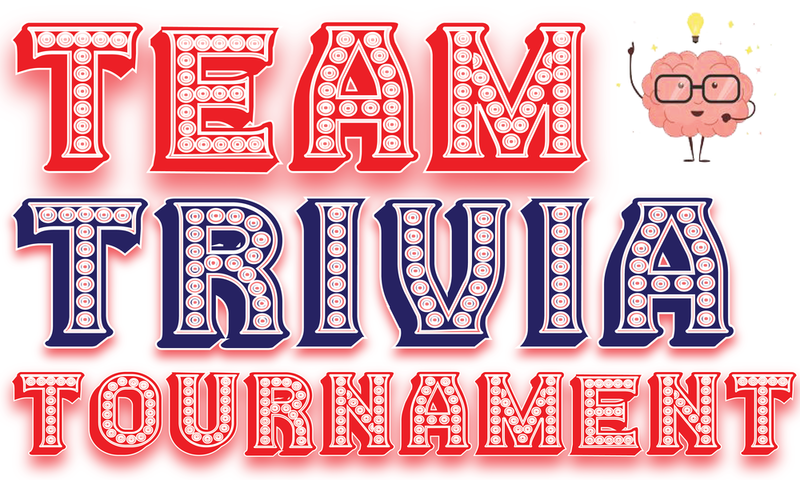 Team Trivia is played in rounds. Each round has three questions in different categories. The first three rounds have point values available in five (5), three (3), and one (1). You can use these point values in any order and apply them to your answers, but you can only use each point value once per round. The halftime question typically will have four correct answers, and each correct answer by the player will give them two (2) points. After the halftime question, the point values in each of the next three rounds change to six (6), four (4) and two (2). Again, these values can only be used once in each round. The final question is then asked and each team will wager a point value of up to 20 points. If a team answers the question correctly, it receives the number of points wagered. If a team’s answer is incorrect, the team will then have the wagered points subtracted from its previous total. A team may choose not to answer the final question or wager “zero” points and submit an answer. In either case, such team’s point total for the game would not change. The Team Trivia Tournament winner is the team with the most points at the conclusion of Week/Game 5 and will be declared the winner of $500.00 cash and awarded the Mulligan's Top Trivia Team!